At the İstanbul Finance Summit last Wednesday, Ali Babacan, deputy prime minister for economic affairs, made critical assessments of the challenges the Turkish economy is facing. What impressed me most among these assessments was Babacan's confession about the nature of Turkey's ongoing economic growth. He is not happy with its quality. Me neither. Let me quote what he said about this controversial topic. “When you look at the growth figures by themselves the picture isn't bad, but we have worries about the quality of growth. … We grew by 4.4 percent in the second quarter but the major source of this growth was domestic consumption and a little bit of public spending. We observe decreases in private investment as well as in net exports. … This picture is not one we would like to see. In fact, we would like to see the opposite. We want to have growth based on both private investment and exports. Yes, we grew by 4.4 percent, but what made up this growth doesn't make us happy. When growth is based on these factors [private investment and exports], the impact of growth on the current account deficit [CAD] is positive. However, when the growth is based on consumption, the current account deficit widens.” Babacan added that the government will make efforts to improve the quality of growth. Before explaining why this assessment, which in fact simply repeats the well-known problem of ongoing growth, seems critical to me, let me remind you of some misperceptions regarding Turkey's second-quarter growth. As I tried to explain in my Sept. 9 column (“Two different narratives of growth”), the causes of the second-quarter growth vary depending on the analytical perspective. 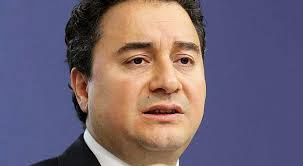 Babacan is looking at yearly growth (the change in gross domestic product [GDP] from the second quarter of 2012 to the second quarter of 2013), and what he says is true. Nevertheless, quarterly growth (from the first quarter to the second quarter) is different in two respects: Private investment contributed positively, albeit quite moderately, to growth, while public expenditure has significantly slowed. However, let me add that negative net exports continued to widen the CAD. Of course, those nuances don't change the global picture: Turkey's real economic growth is basically based on private consumption and the CAD is widening at a time when the international liquidity glut will be ending sooner or later. The Fed's recent decision to leave the quantity of its asset purchases unchanged only postponed the end of the party for a few months. The only virtue of the Turkish economy's current situation is the government's insistence on fiscal discipline. Babacan underlined this insistency once again at the financial summit, saying that the government has never compromised on fiscal discipline during elections and won't compromise this time, either. He warned that if a widening budget deficit is added to the already widening CAD, then Turkey's economic and financial stability will be damaged. This was a long digression, I admit. So let's get back to the quality of economic growth. At the moment, the Turkish economy is unable to base its growth on exports for various reasons. Turkish industry isn't competitive enough in terms of costs or technology. Hence, it is quite natural that private consumption, fueled by the liquidity glut, is the main engine of economic growth. But this growth regime excessively hollowed out domestic savings and widened the CAD. At the beginning of the 2000s, the CAD-GDP ratio was about 3 percent. It is over 7 percent now. Moreover, as recent Betam research points out (see my Aug. 30 column, “Turkey on the brink of middle income trap”), labor productivity is almost null. For two years, growth has been driven exclusively by capital stock and employment increases. Babacan is right: Under these circumstances, the Justice and Development Party (AK Party) government should make great efforts to shift the unsustainable growth regime to a more balanced one in which exports, on the demand side, and productivity, on the supply side, play a determining role. These efforts -- in other words, the necessary structural reforms (in education, the labor market, the fiscal system, etc.) -- are well known, and as Babacan pointed out, they are written in “the official documents” (development plans, etc.). But where is the political will -- and the decisiveness?